Today’s Flash Back Friday comes from Episode 79, from February 2012. The lie detector is not a test for truth and the polygraphists know this. Join Jason Hartman as he interviews expert and co-founder of AntiPolygraph.org, George Maschke on the fallacy of lie detectors. George states that the practice of using a polygraph test has not been scientifically proven to be accurate and that, for the most part, it gets people to divulge information based on “control” questions, and also “buffer” questions that are not even measured. The polygraph measures physiological responses, such as breathing, blood pressure, heart and perspiration rates, which are compared to the reactions of lie-control questions. George explains how it is often used to trick people into handing over information, how the test is not 98% accurate, but closer to only 50% accurate, and how it is sometimes used as a plea bargain in court cases to “prove” innocence or guilt. George shares many instances where the guilty were able to manipulate the test and go free unless other evidence was found to convict, and also instances of innocent people being found guilty. He lists many ways that a lie detector test can be beaten. 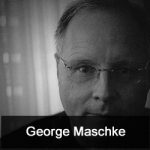 George Maschke became a co-founder of AntiPolygraph.org and an author and activist against the use of lie detectors after wrongly failing a polygraph to get into the FBI. The organization is a non-profit, public interest website dedicated to exposing and ending waste, fraud, and abuse associated with the use of polygraphs and other purported “lie detectors.” George is co-author of “The Lie Behind the Lie Detector” with Gino J. Scalabrini. George was born and raised in Long Island, New York, where he graduated from Westhampton Beach High School. He joined the U.S. Army for a four-year enlistment, and then moved to Los Angeles, California to study at UCLA, where he received his bachelor’s degree in Near Eastern Studies, followed by a master’s and doctoral degree in New Eastern Languages and Cultures. He currently lives in The Hague, Netherlands, with his family as a legal translator. How Reliable is a Lie Detector Test? Lie Detector Tests: 50% Accuracy?